"It is not possible to outperform the market by skill alone"
What is the Efficient Markets Hypothesis? The Efficient Markets Hypothesis is an investment theory primarily derived from concepts attributed to Eugene Fama’s research work as detailed in his 1970 book, “Efficient Capital Markets: A Review of Theory and Empirical Work”. Fama put forth the basic idea that it is virtually impossible to consistently “beat the market” – to make investment returns that outperform the overall market average as reflected by major stock indexes such as the S&P 500 Index. According to Fama’s theory, while an investor might get lucky and buy a stock that brings him huge short-term profits, over the long term he cannot realistically hope to achieve a return on investment that is substantially higher than the market average. 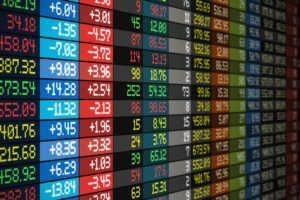 Fama’s investment theory – which carries essentially the same implication for investors as the Random Walk TheoryRandom Walk TheoryThe Random Walk Theory or the Random Walk Hypothesis is a mathematical model of the stock market. Proponents of the theory believe that the prices of securities in the stock market evolve according to a random walk. – is based on a number of assumptions about securities markets and how they function. These assumptions include the one idea critical to the validity of the efficient markets hypothesis: the belief that all information relevant to stock prices is freely and widely available, “universally shared” among all investors. As there are always a large number of both buyers and sellers in the market, price movements always occur efficiently (i.e., in a timely, up-to-date manner). Thus, stocks are always trading at their current fair market value. The major conclusion of the theory is that since stocks always trade at their fair market value, then it is virtually impossible to either buy undervalued stocks at a bargain or sell overvalued stocks for extra profits. Neither expert stock analysis nor carefully implemented market timing strategies can hope to average doing any better than the performance of the overall market. If that’s true, then the only way investors can generate superior returns is by taking on much greater risk. There are three variations of the hypothesis – the weak, semi-strong, and strong forms – which represent three different assumed levels of market efficiency. The weak form of the EMH assumes that the prices of securities reflect all available public market information but may not reflect new information that is not yet publicly available. It additionally assumes that past information regarding price, volume, and returns is independent of future prices. It implies that technical trading strategies cannot provide consistent excess returns because past price performance can’t predict future price action that will be based on new information. This form of the EMH, while it discounts technical analysis, leaves open the possibility that superior fundamental analysis may provide a means of outperforming the overall market average return on investment. The semi-strong form of the theory dismisses the usefulness of both technical and fundamental analysis. The semi-strong form of the EMH incorporates the weak form assumptions and expands on this by assuming that prices adjust quickly to any new public information that becomes available, therefore rendering fundamental analysis incapable of having any predictive power about future price movements. For example, when the monthly Non-farm Payroll report in the U.S. is released each month, you can see prices rapidly adjusting as the market takes in the new information. The strong form of the EMH holds that prices always reflect the entirety of both public and private information. This includes all publicly available information, both historical and new, or current, as well as insider information. Even information not publicly available to investors, such as private information known only to a company’s CEO, is assumed to be always already factored into the company’s current stock price. So according the strong form of the EMH, not even insider knowledge can give investors a predictive edge that will enable them to consistently generate returns that outperform the overall market average. Supporters and opponents of the efficient markets hypothesis can both make a case to support their views. Supporters of the EMH often argue their case based either on the basic logic of the theory, or on a number of studies that have been done that seem to support it. A long-term study by Morningstar found that, over a 10-year span of time, the only types of actively managed funds that were able to outperform index funds even half of the time were U.S. small growth funds and emerging markets funds. Other studies have revealed that less than one in four of even the best-performing active fund managers proves capable of outperforming index funds on a consistent basis. Note that such data calls into question the whole investment advisory business model that has investment companies paying out huge amounts of money to top fund managers, based on the belief that those money managers will be able to generate returns well above the average overall market return. Opponents of the efficient markets hypothesis tout the simple fact that there ARE traders and investors – people such as John Templeton, Peter Lynch, and Paul Tudor Jones – who DO consistently, year in and year out, generate returns on investment that dwarf the performance of the overall market. According to the EMH, that should be impossible other than by blind luck. But blind luck can’t explain the same people beating the market by a wide margin, over and over again. over a long span of time. Further, those who argue that the EMH theory is not a valid one point out that there are indeed times when excessive optimism or pessimism in the markets drives prices to trade at excessively high or low prices, clearly showing that securities, in fact, do not always trade at their fair market value. The significant rise in the popularity of index funds that track major market indexes – both mutual funds and ETFs -is due at least in part to widespread popular acceptance of the efficient markets hypothesis. Investors who subscribe to the EMH are more inclined to invest in passive index funds that are designed to mirror the market’s overall performance, and less inclined to be willing to pay high fees for expert fund management when they don’t expect even the best of fund managers to significantly outperform average market returns. On the other hand, because research in support of the EMH has shown just how rare money managers who can consistently outperform the market are, the few individuals who have developed such a skill are ever more sought after and respected. Three Best Stock StimulatorsThree Best Stock SimulatorsThe best stock simulators allow the user to practice and refine their investment techniques. Stock trading simulators allow trading fake cash with real time data, enabling traders to test out various trading strategies prior to risking any real money on them.